In KUHS there is a weekly boarding system, except for the A level students who have monthly boarding. Students board from Class 1. 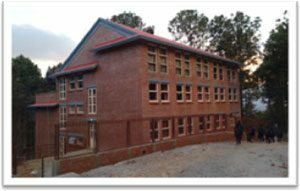 At present the KUHS hostels are scattered around Dhulikhel, though there is a vision and plan to provide new purpose-built Hostels on one site with magnificent views of the distant Himalayas and the nearer Mahabharata Range. In the Hostels, the students are accommodated in rooms with up to six to eight students in bunk beds. Evening study is supervised, and in the early mornings the students travel to the school site for breakfast and supervised study before classes.